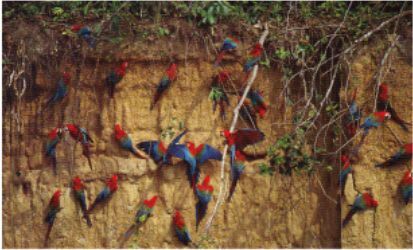 The trip is full of adventure, with possibilities to find wild animals and the most attractive landscapes of Tambopata : The amazing macaw clay lick "collpa" in the Bahuaja-Sonene National Park and the wonderful Sandoval lake in the Tambopata - Candamo Reserved Zone. Activities Walks through the heart of the reserved area of Tambopata Candamo and the Bahuaja Sonene National park . Not Included Entrance to the Protected Area of Tambopata (USD $24.00 per person). Reception at the airport and transportation to the Wasai MALDONADO Ecolodge, where you will receive a welcoming tropical fruit beverage. You will embark for a 4 hour motorboat trip up the Tambopata River to Wasai TAMBOPATA Lodge & Research Center (box lunch on route). During the trip we will be able to observe the local farms, while groups of birds pass over the boat. Opportunity to see families of Capybaras, the largest rodents in the world. 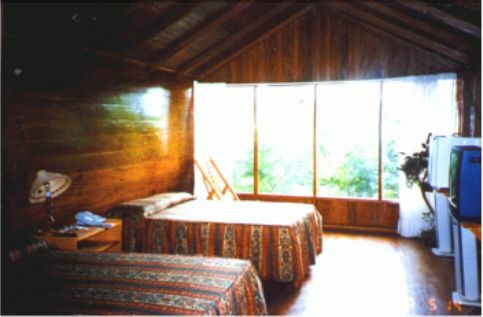 Reception, accommodation at the lodge. After a short rest we will have a brief introductory walk in the forest nearby to learn basic principles of ecology and hear some wildlife natural history and observe the nocturnal life of insects, frogs of various colours, and an occasional encounter with nocturnal mammals. Return to the lodge for dinner. We will enjoy the diverse sounds of the jungle which will accompany our first night in Amazonia. Overnight at Wasai TAMBOPATA Lodge. (L, D). (Cat Cascades), where we will swim in a “natural Jacuzzi”. If you wish, you can join us to fish in the river where inhabit more than 250 species of fish or do kayaking on the river. After breakfast we will make a trip in boat to the Wasai MALDONADO Ecolodge, in Puerto Maldonado where we will relax in our bungalows and enjoy a tasty lunch. After lunch we will leave and travel for thirty minutes on the Madre de Dios River, to the access trail to Lake Sandoval, a beautiful typical rainforest lake. 3 km hike to the banks of the lake. 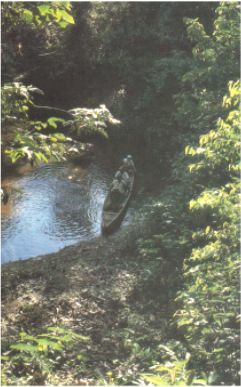 There we will board a canoe to paddle around the lake enjoying the beauty of the landscape and observing the wildlife, such as kingfishers, herons, hoatzins (unique pre historic looking birds) , monkeys, etc. 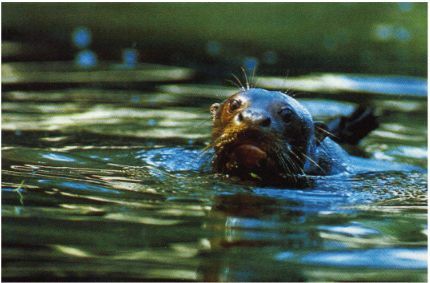 If we are lucky we could see the family of giant otters which live at the lake. We will have the opportunity to swim in the lake. All hotel and lodge accommodations based on double or single occupancy. All scheduled land, lake and river transportation. All transfers. All scheduled excursions with English-speaking guide services. All entrance fees. Meals as specified in the itinerary. B=Breakfast; L=Lunch; D=Dinner. Entrance to the protected area of Tambopata (INRENA TAX) is USD 30 per person . International or domestic airfares, airport departure taxes or visa fees, excess baggage charges, additional nights during the trip due to flight cancellations, alcoholic and non-alcoholic beverages or bottled water, snacks, insurance of any kind, laundry, phone calls, radio calls or messages, reconfirmation of international flights and items of personal nature.